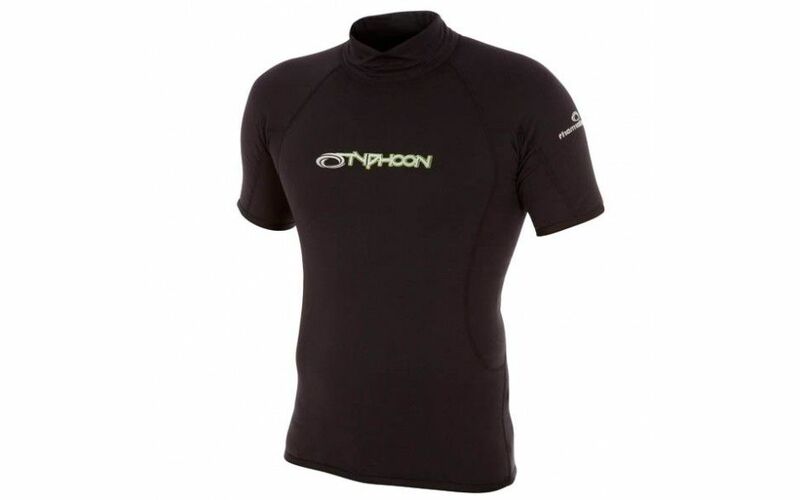 A warm fleece base layer from Typhoon, great for year round kayaking use. The Typhoon Therma Fleece is an 8oz fleece layer which is perfect for keeping you warm under a dry top on those cold winter days. It also works well during the summer as a rash top. The compination of high tech therma fabrics and super-stretch lycra make for a comfortable fit. *Also available in long sleeve. Small 5'3" - 5'5" 36" 28"
Medium 5'7" - 5'9" 40" 40"
X Large 6'1" - 6'3" 46" 38"